Roosevelt Estates: Three Bedroom One Bath Handyman Special. Cash only. Must be purchased subject to code enforcement lien(s). Price is reflective of lender approved price.Conveniently located off Palm Beach Lakes close to shopping and I-95. Bent Tree Gdns West: Nice 2/2 in Bent Tree Gardens West. The unit has tile floors throughout. Lot's of storage and Full Size Washer/Dryer. The unit is in good condition but has not any substantial upgrades.This is a short sale so allow sufficient time for approval and closing. Also, no rentals during the first 2 years. List price non-negotiable. Lender approved amount $100,000 PLUS Buyer must pay $16,000 fine to the City of WPB for Lien finalized Feb 15, 2019). See Showing Assist for Code. Pre-foreclosure property. Broker/Agent Commission may be reduced. Lakeview: LOCATION, LOCATION, LOCATION! IMMACULATE 2 BED 2 BATH PLUS ENCLOSED TILED PORCH W/ CLOSET. ONLY MILES FROM AWARD-WINNING DELRAY BEACH. NEAR BRAND NEW SHOPPING CENTERS IN EAST DELRAY. DOWNTOWN DELRAY BEACH MINUTES AWAY! PERFECT FOR FIRST TIME HOMEBUYERS. Bank approved Short Sale. Whitehall: THIS MOVE-IN READY CONDO HAS A BEAUTIFULLY UPDATED KITCHEN WITH GRANITE COUNTER TOPS, NEWER CABINETRY AND STAINLESS STEEL APPLIANCES. TWO SPACIOUS BEDROOMS WITH AN OVERSIZED LAUNDRY/STORAGE ROOM. LIGHT AND BRIGHT THROUGHOUT WITH VIEWS OF THE GOLF COURSE. 2 MINUTE WALK TO THE HEATED POOL. GOLF AND SOCIAL MEMBERSHIPS AVAILABLE. Riviera: Nice single family house. New kitchen with stainless appliances, Laminate floors. New AC replaced in 2018, Large private backyard. Excellent location, close to the beach, minutes to downtown West Palm Beach and I95. Tenant occupied. Tenant pays $1,225/ Month. Lease expires June 30, 2019. Polo Club: Desirable 1 level townhome with lake and golf course views. Updated kitchen with granite counters and stainless steel appliances. Partially covered and totally screened patio to enjoy. The Polo Club is an upscale mandatory membership country club with 2 championship golf courses, and renowned tennis center, fitness and spa facilities, fine a casual dining options to choose from. Boca Bayou Condo: 2/1 Boca Bayou condo with expansive views of the Hillsboro Canal from a covered patio! Prime East Boca location in biking distance to the beach and Mizer Park! Gated community with many amenities including shuffleboard, exercise room, tennis, and community pool. Boca Bayou: Opportunity awaits. Property ready to close once offer is accepted. Current HOA is including assessment. Broken Sound: PRICE REDUCTION!! BUYER MUST SELL!! MOTIVATED!! Rarely available golfer's paradise unit with gorgeous long view of the golf course overlooking the 10th hole and complete with a 2 car garage!! Tons of natural light, high vaulted ceilings, and wood floors invite you upstairs to relax on the screened-in wraparound patio. This unit has all the bells and whistles including a built-in wet bar with wine fridge, enclosed patio in the guest room with additional office space, Toto toilets, and room for an elevator. Kitchen is finished with granite countertops, stainless steel appliances, and opens to the dining room. All closets are fully outfitted, and the guest room has a Jack & Jill bathroom open to the living room. With 3 bedrooms and 3 full bathrooms, this is the pinnacle Florida home! Seven Springs: AS IS. SHORT SALE. THIRD PARTY APPROVAL IS NEEDED. NICE TOWNHOUSE.TERRIFIC END UNIT TOWNHOUSE ON CANAL - LARGE TILE SCREENED PATIO WITH BUILT IN BBQ GAS GRILL.NICE FLOWERS WELCOME YOU ON THE FRONT. Lucerne Homes East: 55+ Single family home located on a .18 acre corner lot.New A/C system, New Water Heater, New Washer and Dryer and new tile through out the house. Open layout with foyer entrance. Living room opens to the dining area and family room. Split bedroom plan has master bedroom with a walk in closet, private bathroom with walk in shower and sliding doors to the glasses enclosed patio. Kitchen features plenty of cabinetry, counter space, appliances and extra large breakfast area. 1 car garage with driveway. Quite community with a lakeside clubhouse and pool. Great location close to shopping, restaurants and entertainment. Wycliffe - Dover: This is a private resort style community. Country Club membership required. Enjoy the best in resort style living here in West Palm Beach, Florida. Expansive home located in Dover at Wycliffe Golf and Country Club, an exceptionally well run and gorgeous golf and country club community. This residence features 3 bedrooms, 3 full baths, and a 2.5 car garage with golf cart. Decorated in a traditional design, the home has a great room layout with a living room and dining area, plus a separate family room. The kitchen has wood cabinets and all the amenities and comforts of home. Outside, you'll enjoy the pristine heated pool, atrium screen enclosure and covered patio all overlooking rolling golf course views. The Wycliffe HOA has updated the Comcast cable to contain the X1 platform continued..
Ibis: Great home is beautiful Ibis Golf Club. Home will need updating throughout. Great water views of lake from backyard. Great opportunity to customize a home specifically to your liking. Mandatory membership purchase required. Commissions and final purchase price are subject to third party approval and subject to change. Please note that in addition to the quarterly maintenance, there is a master association fee of $799 quarterly to the POA. Meridian Park: BUYER WALKED!! Short Sale Package Completed. Ready for offer.Two bedroom, two bath.Great location in Palm Beach Gardens.Close to shopping, dining, hospital and I-95. Corner townhouse, tenant occupied currently paying $1450 per month & wants to stay. Tile and laminated floors, newer a/c system, large screened patio, gated community, ample parking, good rental income or starter home. Springs: Conveniently located townhouse with 1 car garage and enclosed and air conditioned patio. Call us today for more information. Community has a pool and playground. HOA includes gate and common area maintenance. 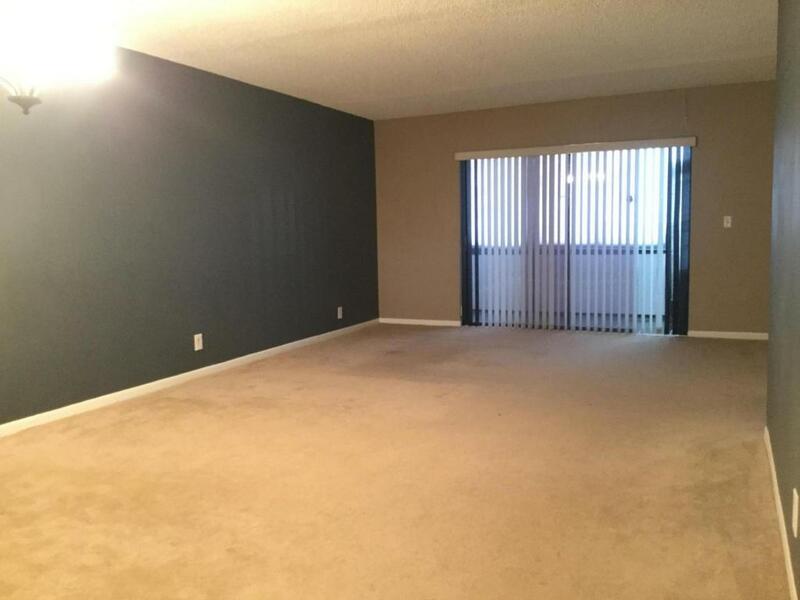 Sabal Pine Condo: Unit is presently leased and requires a minimum of 24 hour notice to show. Beautiful corner spacious unit that offers a great view. Porcelain tiles and wood laminate floors, new kitchen with granite countertops. This is a short sale contingent on bank's approval. Tiburon: NICE 3 BEDROOM 2 BATH TOWNHOUSE IN TIBURON, OPEN FLOOR PLAN, LARGE KITCHEN, LIVING AND DINING ROOM. SCREENED PATIO, PLENTY OF PARKING, CENTRAL A/C AND HEAT. WOOD FLOORS, CERAMIC TILE, VAULTED CEILINGS, FRONT COURT YARD.